Satellite Radio, iPod/MP3 Input, Bluetooth Ford SEL with Redfire Metallic exterior and Charcoal Black interior features a 4 Cylinder Engine with 160 HP at 6250 RPM*. MOON & TUNE PKG: pwr moonroof, Audiophile 6-disc in-dash CD changer w/MP3 capability, (8) speakers, CHARCOAL BLACK, LEATHER SEAT TRIM W/RED STITCHING & ACCENTS: heated front seats, SPORT APPEARANCE PKG: dark chrome grille w/color-keyed fog lamp bezels, 18" machined aluminum wheels w/painted pockets, P225/45R18 all-season BSW tires, sport-tuned suspension, unique decklid lip spoiler, unique accent stitching & seat pattern, unique centerstack & instrument panel applique. "It is defined by its handsome styling, sporty handling character and spacious cabin." -Edmunds.com. IIHS Top Safety Pick. 5 Star Driver Front Crash Rating. 5 Star Driver Side Crash Rating. Was $7,995. This Fusion is priced $100 below NADA Retail. Pricing analysis performed on 7/6/2018. Horsepower calculations based on trim engine configuration. Fuel economy calculations based on original manufacturer data for trim engine configuration. Please confirm the accuracy of the included equipment by calling us prior to purchase. 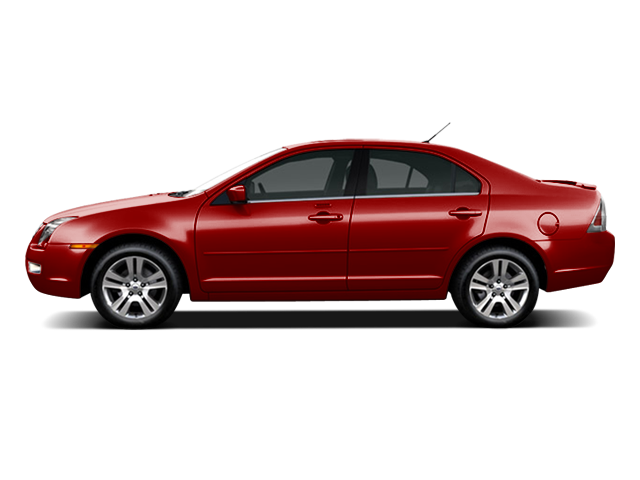 Hello, I would like more information about the 2009 Ford Fusion, stock# P1161A. Hello, I would like to see more pictures of the 2009 Ford Fusion, stock# P1161A.